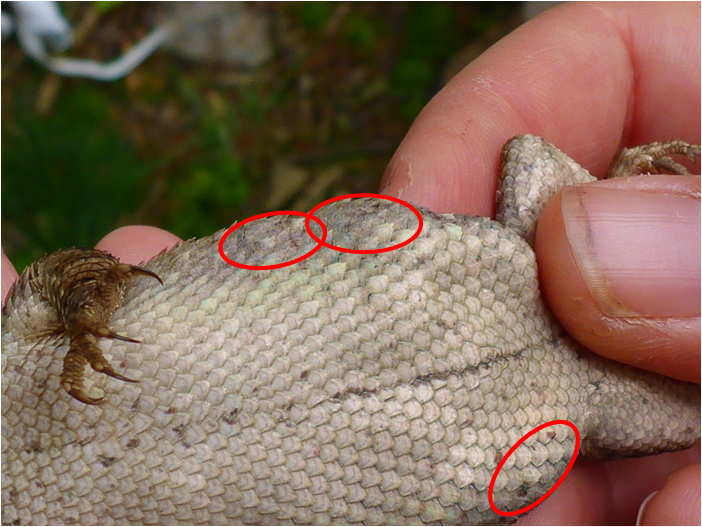 Almost every time I talk to people about our research with lizards, I get asked the question: “But how do you catch so many lizards?” or some variant of it. 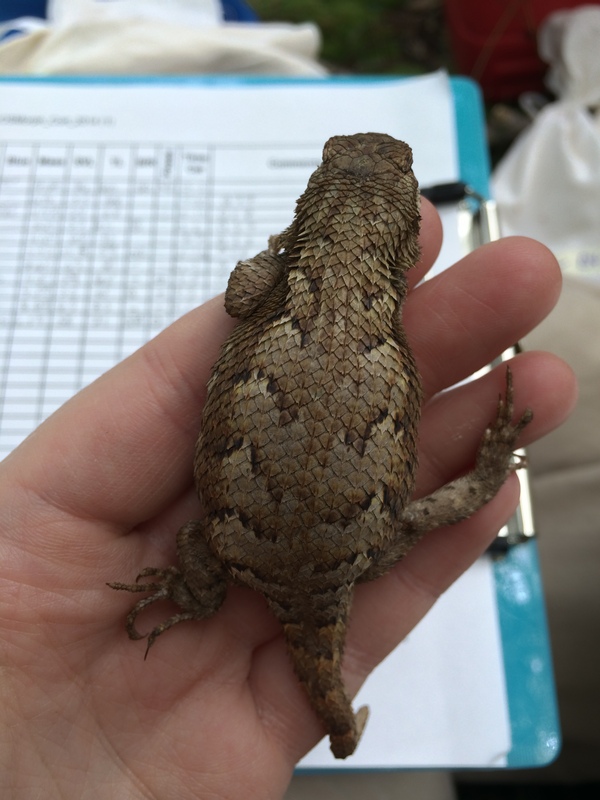 In general fence lizards are fast, and, while we do sometimes catch them with our hands (especially juveniles), we mostly use the time-honored technique of noosing lizards. This involves creating a small noose, putting it on a pole, slowly lowering it over a lizard’s head, and tightening the noose by lifting upwards. While it seems as though a lizard should run away if a large human being is trying to put a tickly noose over its head, fence lizards will often stay stock still to the surprise of most first time noosers. 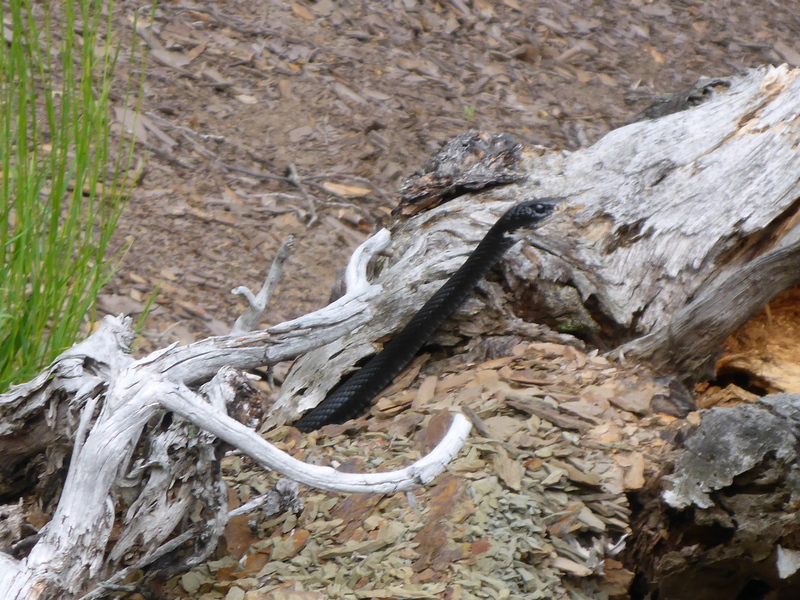 The probable reason for this is that fence lizards are generally well-camouflaged animals; they rely on their cryptic patterning for protection from predators. Many of these predators, such as birds of prey and some snakes, are visually-oriented. So if a fence lizard is threatened by a predator, running away, or otherwise moving to avoid a small distraction (like our nooses), might just serve to attract the predator and reduce a lizard’s chances of survival. 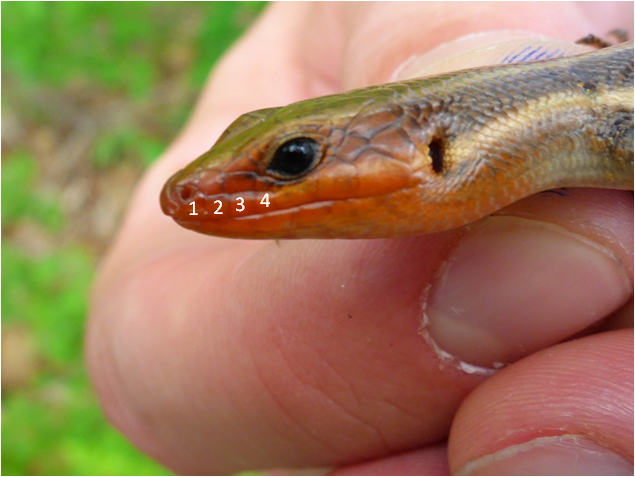 When we are catching lizards, we often see their eyes following our movements but not the noose’s; in other words, they seem to recognize a human 8 feet away as a potential threat, but ignore the small noose near their head. 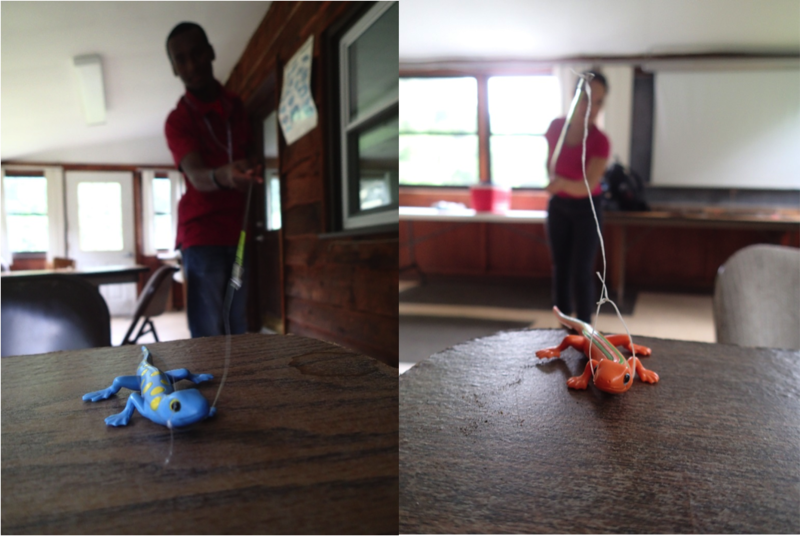 To noose lizards, we use collapsible panfish poles (like this or this), which allow us to say outside of a lizard’s flight initiation distance, the distance from a predator at which the lizard will run to shelter. We also use waxed dental floss to make our small nooses. The waxed floss holds its shape well and is very tough, allowing it to be used over and over. 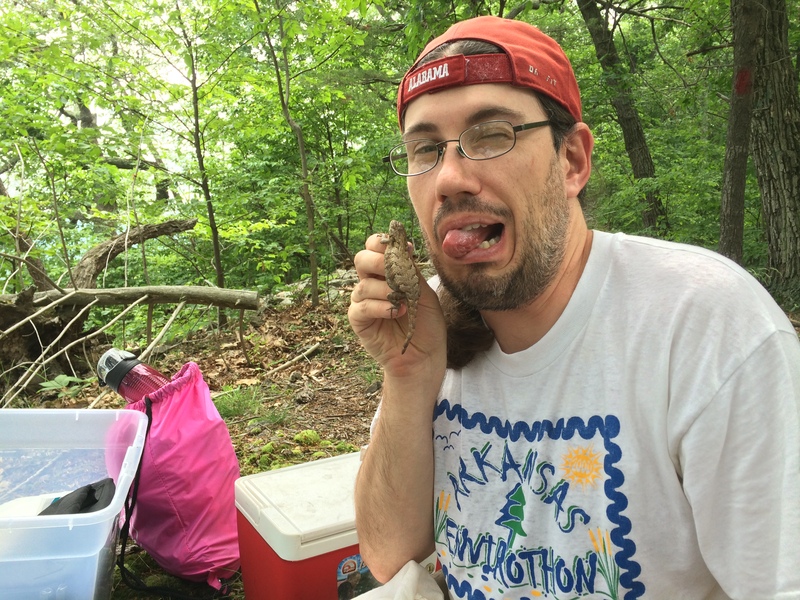 Last week while catching lizards at Raystown Lake in PA, I hooked up our lab’s GoPro camera to my lizard pole so I could show y’all what it looks like to catch a lizard with a noose (watch in HD if you can!). Another question I often get is: doesn’t this hurt the lizard? The answer is, thankfully, no! First of all, fence lizards’ necks are a strong region of their body, and secondly, fence lizards weigh very little. They rarely exceed 20 gms (and that only in very gravid females). 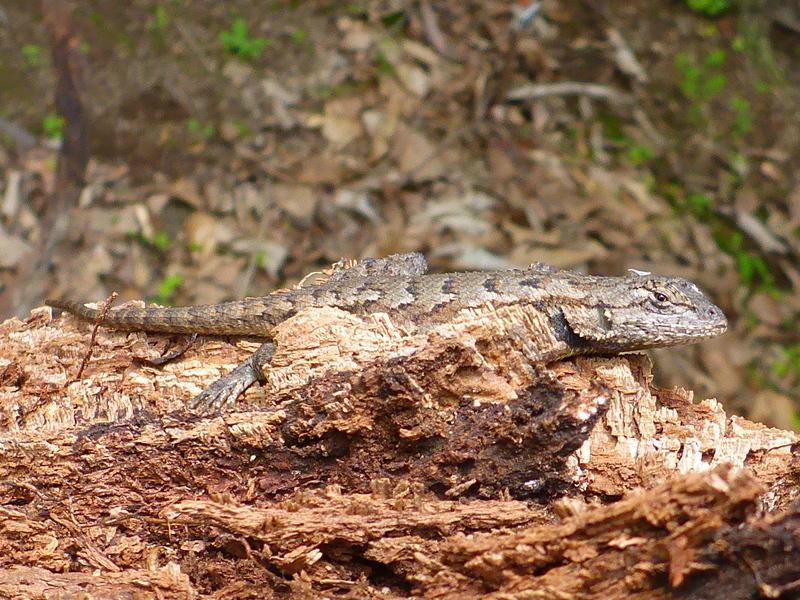 The combination of low weight and a strong support means that fence lizard necks can easily support their body weight. Our nooses don’t tighten enough to cut off circulation, and we can generally free a lizard from a noose in under 15 seconds. Catching lizards by hand is actually more risky than noosing them, since there is a higher risk of pressing on a lizard’s tail and having it break. In short, I’ve noosed hundreds of lizards and never had any appear injured. 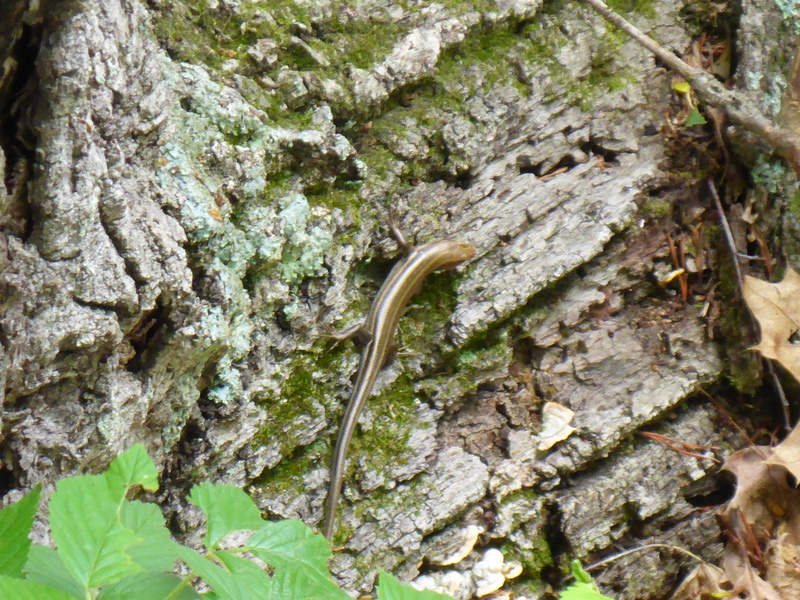 I hope you enjoyed our quick lizard catching video, and maybe now, as I walk through various parks and forests, I won’t get so many questions from people asking what the heck I’m doing strolling around in the middle of the woods with a fishing pole! 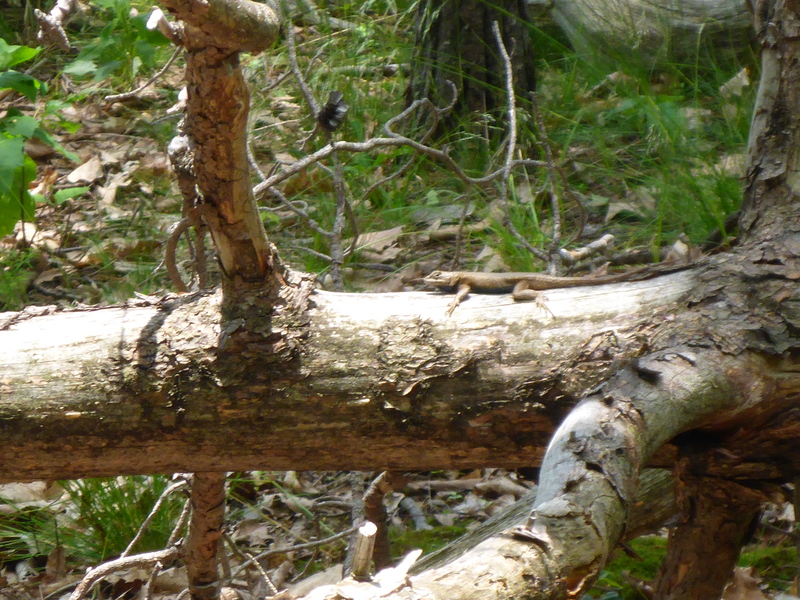 Categories: Fun in the Field, Research in PA | Tags: catch, Eastern fence lizard, fence lizard, noose | Permalink. Given that I am the new guy, it is only fitting that my first blog post provides a little background on myself and my research. So I will use this opportunity to introduce myself. First, a little about me… As you all are aware, my name is Chris Howey, and given that we have two Chris’ in the lab, feel free to call me Howey. 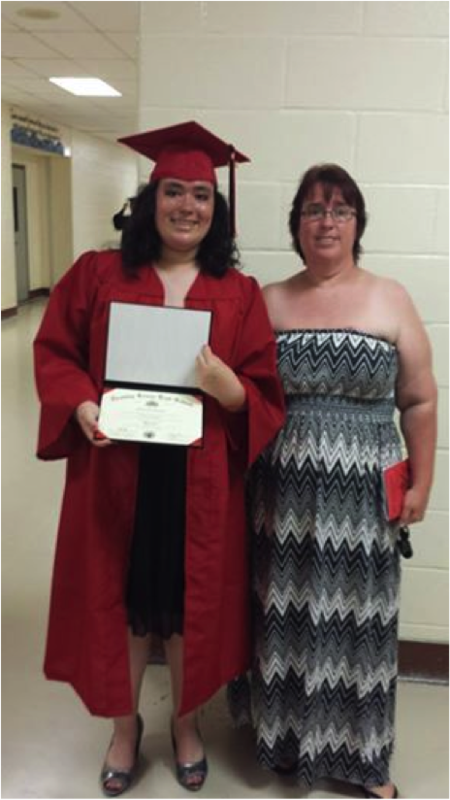 I got my B.S. from the University of Delaware, my M.S. from the University of Central Arkansas, and my Ph.D. from the Ohio University. Originally, I am from New Jersey, but I try my best to avoid that state like it’s the plague (way too many people). I have three older sisters (explains why I’m a little not right in the head), three beautiful nieces, and an adorable nephew. When I’m not chasing down herps, I can be found grilling and smoking meats, drinking beer, and relaxing with my fiancee down in Altoona (everyone is invited to join us!). 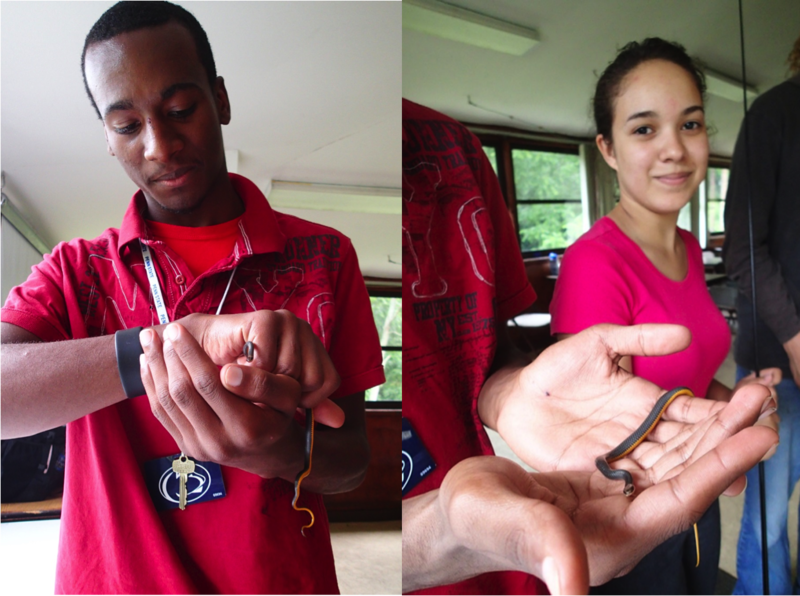 Since my undergrad, I have been highly interested in the conservation and proper management of reptiles. 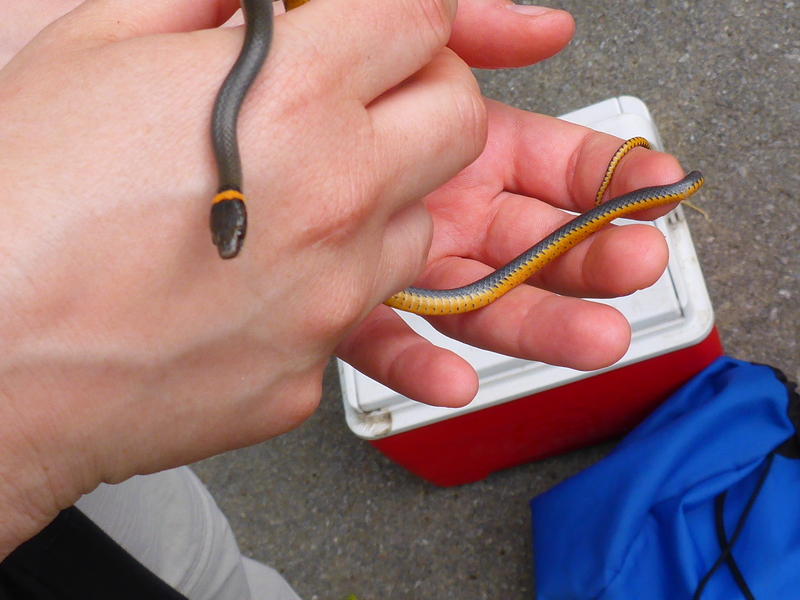 It is very hard to get people interested in snakes, lizards, and turtles, and even more difficult to get them to want to ensure the viability of these reptile populations. 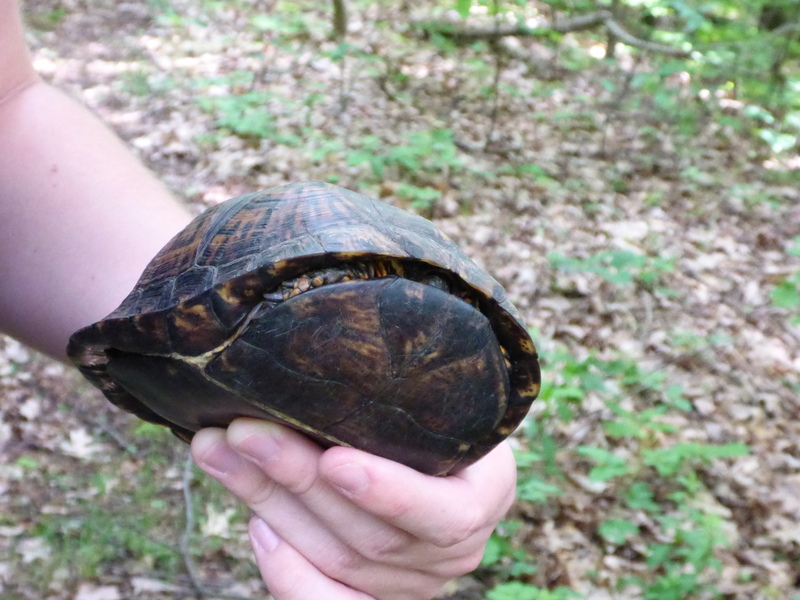 My research is centered around understanding the needs of reptile species and then communicating these needs to land managers and the public. I strongly believe that publishing one’s work in the best scientific journals in the world cannot save a reptile species from habitat loss, over-harvest, and persecution, but the conservation of reptiles (and other wildlife) can only be done by educating the public and local land managers (However… publishing in the best journals in the world can land you an awesome job). 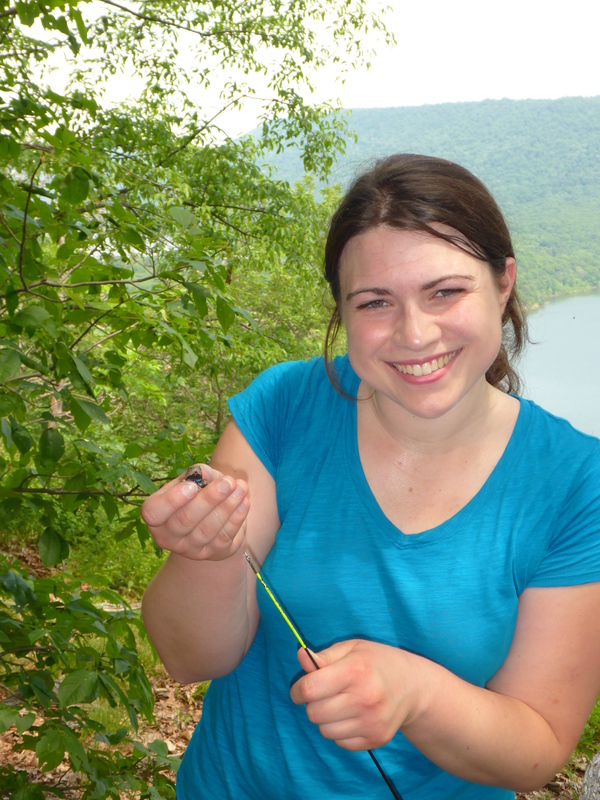 Throughout my undergraduate, graduate, and not post-graduate career my research has focused on understanding how landscape disturbances affect reptile communities and their preferred habitat, and then disseminating that research to the appropriate audiences. 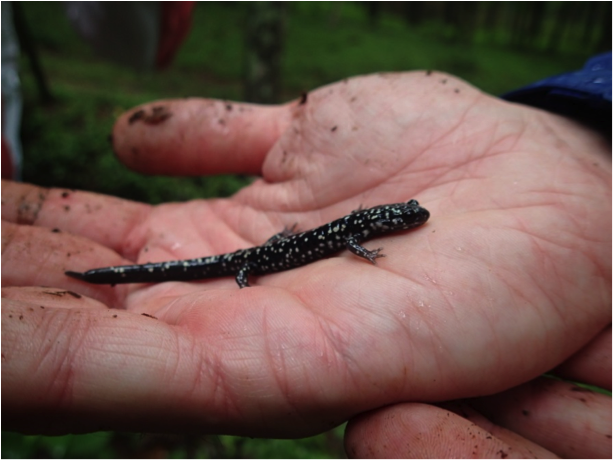 Given that the thermal landscape is one of the most important habitat characteristics for a reptile, ultimately dictating the potential body temperature and physiological performances of the animal, I have recently begun incorporating models of the thermal landscape into my research. 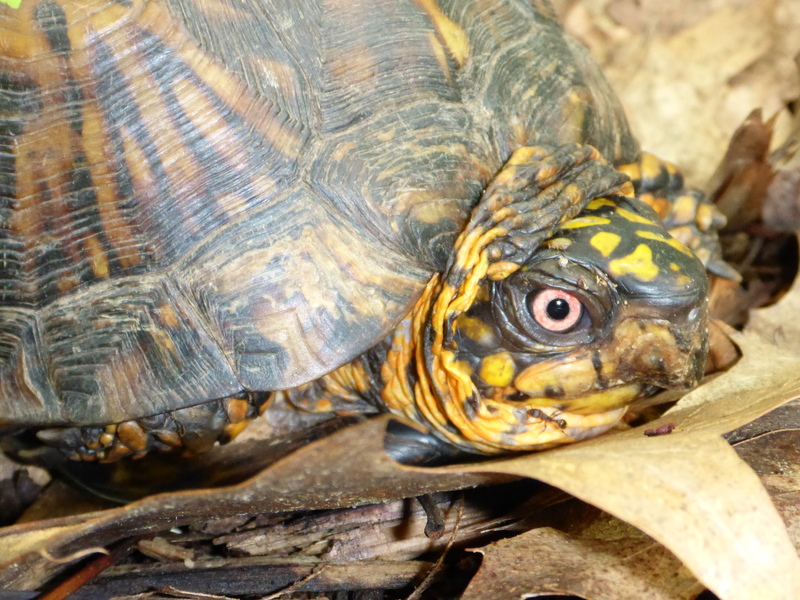 During my undergrad, I assisted with research investigating the effects of habitat fragmentation on the eastern box turtle. 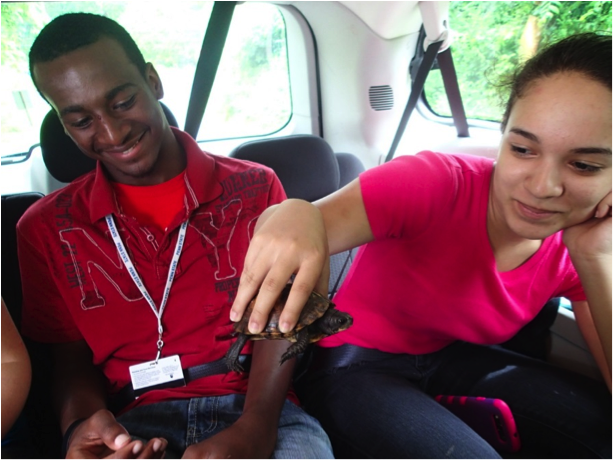 My Master’s research investigated the effects of commercial harvest on the alligator snapping turtle. Additionally, I studied the habitat use of the alligator snapping turtle during my Masters so that we could further understand what type of habitat must be protected if we are to encourage the recovery of this species. 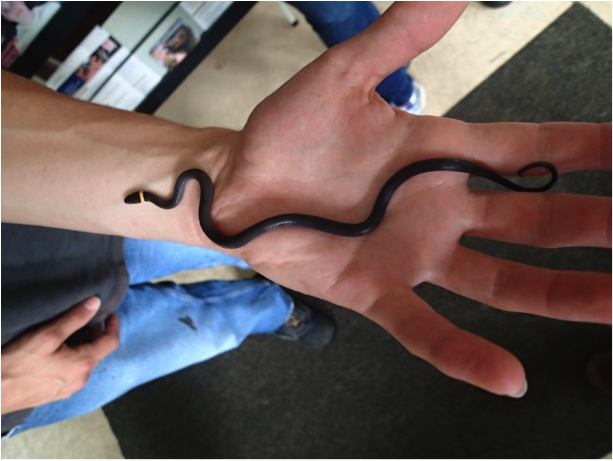 During my PhD, I investigated the effects of prescribed fire on the ecology of the black racer. 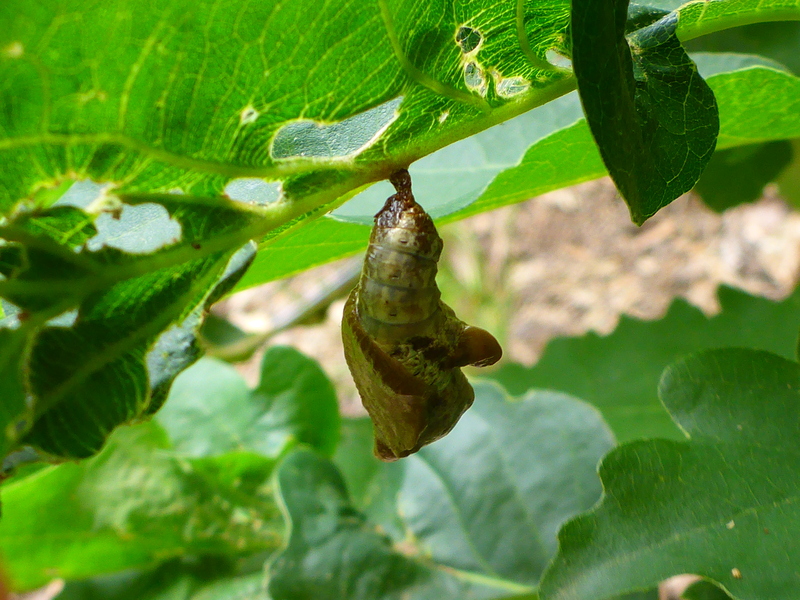 Currently, I am working on getting those results published; however, I have already begun disseminating those results to land managers… which has led me to where I am at today. For more detail on this past research, feel free to visit my website: chowey.net. After hearing about my dissertation research, the Bureau of Forestry in Pennsylvania decided that they wanted to know more about how their prescribed fires affect timber rattlesnakes. The timber rattlesnake is not a listed species in Pennsylvania, but many populations are in decline which makes this, perhaps, a sensitive species that could be listed someday soon. 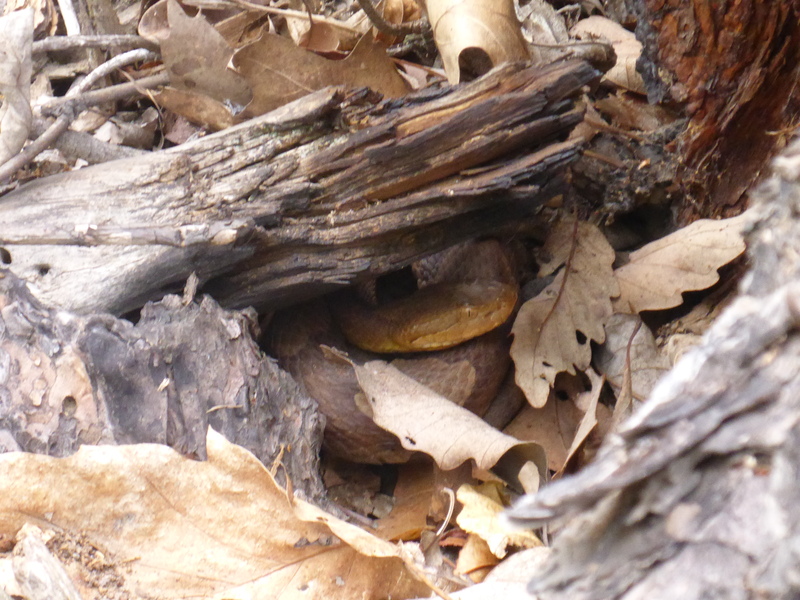 However, there are many healthy populations of timber rattlesnakes in the center of the state. So back in 2012/2013, the Bureau of Forestry and the US Forest Service asked if I would help lead a project looking at the effects of prescribed fire on timber rattlesnake populations in the center of the state. … I agreed. I quickly put together a study that would investigate the effects of prescribed fire on the available structural and thermal landscape, understand what habitat characteristics the timber rattlesnake prefers (structurally and thermally), and understand the direct, immediate, impacts of the fire itself on the rattlesnakes if they would be present during the time of the actual fire. … Unfortunately, our project was pushed aside by government budget cuts… But a few months ago, by the grace the snake gods, the project was fully funded! I quickly looked for a lab that I could work out of within the state, and I found a fantastic lab led by Tracy Langkilde. I thought Tracy would be a fantastic person to work with given that she already looks at stress responses to disturbances within the landscape (i.e., introduction of fire ants). 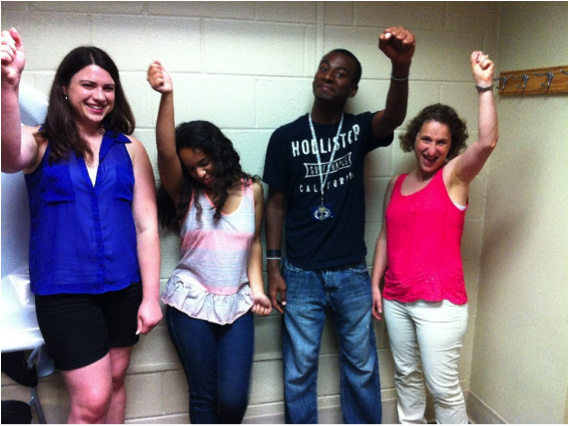 Additionally, her work with stress may even add another interesting layer to this project. 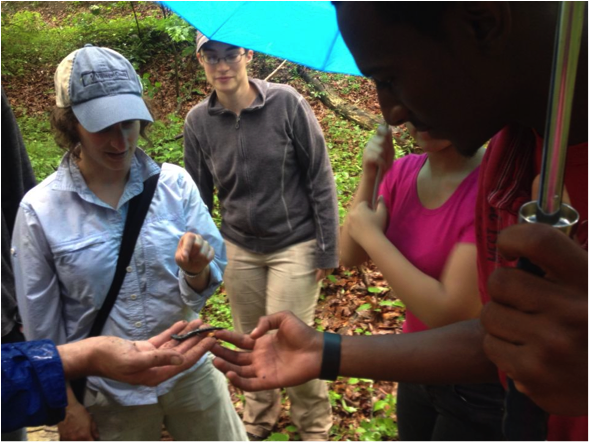 I look forward to working alongside of everyone in the Langkilde lab and sharing with you all the many timber rattlesnake stories yet to come! 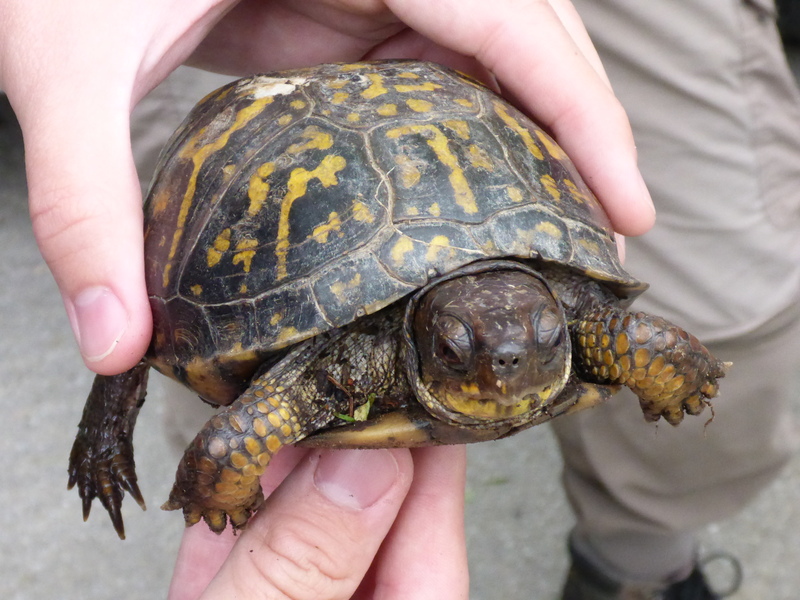 Categories: Research in PA | Tags: blogging, by Howey, fire ecology, habitat fragmentation, herps, Pennsylvania, prescribed fire, timber rattlesnakes | Permalink.